Or, in other words, really old work. It's possible I might have some New Work online. 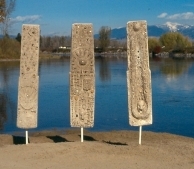 This Ceramic Sculptures Webring site is owned by Sue Robinson. Want to join Ceramic Sculptures Webring?